Allmand TLB Listing on eBay. Hour meter no longer works. when the price doesn't meet my expectations. being ready to honor your commitment when you win. 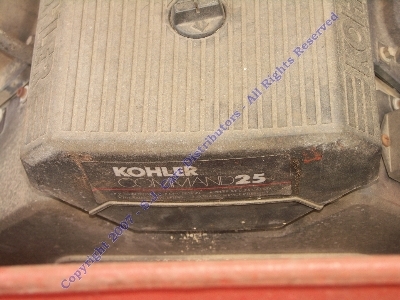 This Kohler started up for me on the coldest, most icy night of last winter during a storm and covered with snow and ice. it up all the way. cracks or repairs. 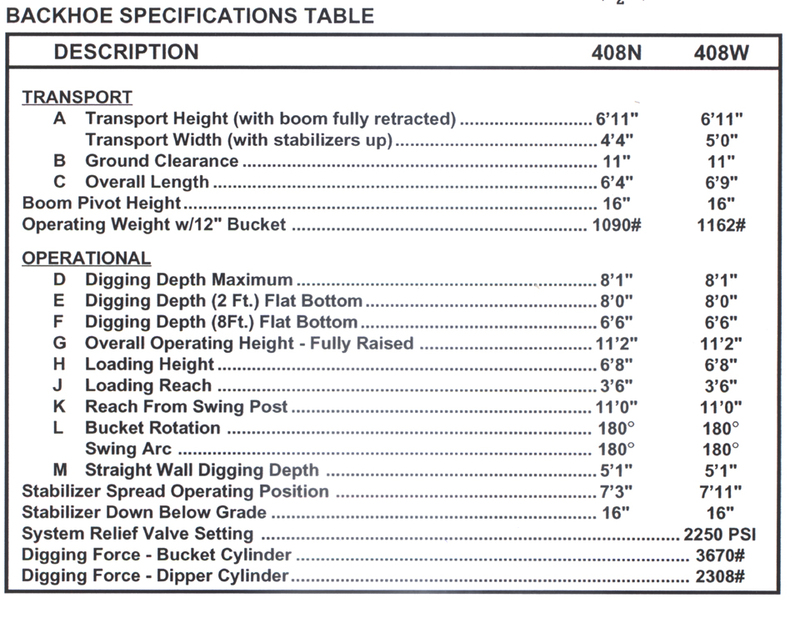 The bucket does have a center drain hole and it is a 12 inch bucket. 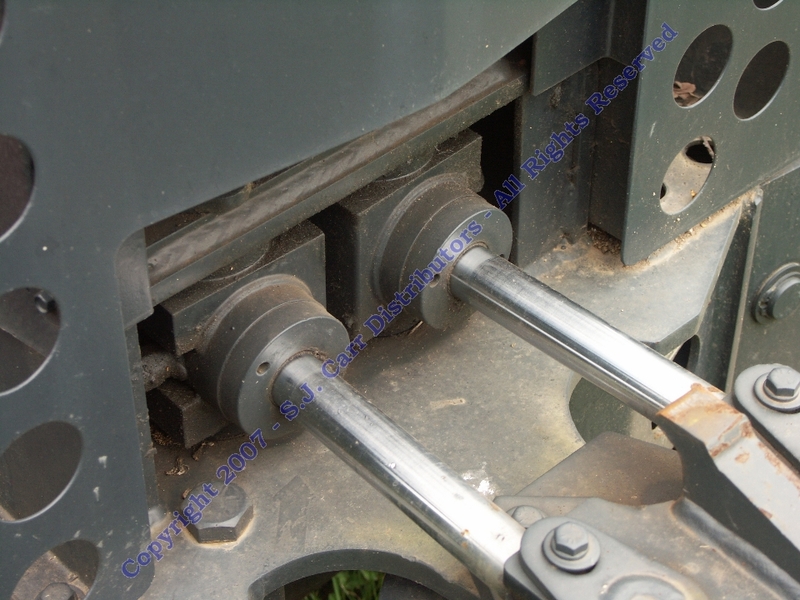 hydraulic cylinder and a chain. 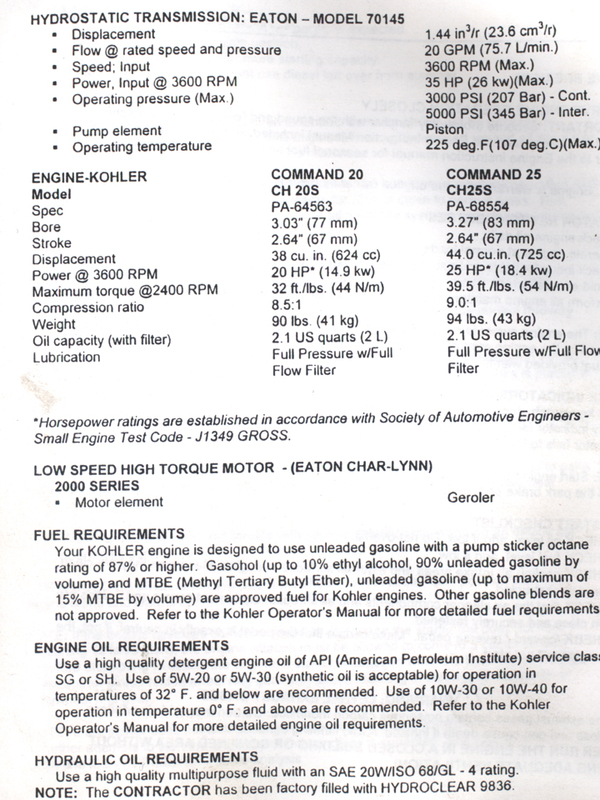 Just one of the details related to build quality that you come to appreciate. installed on the wheel and a standard bucket controller. 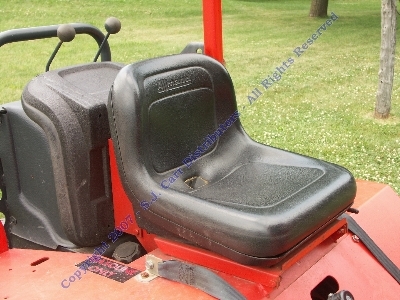 Both of the operators seats are in great shape with NO rips or tears. Both of them swing up and out of the way easily. NO abuse what so ever. 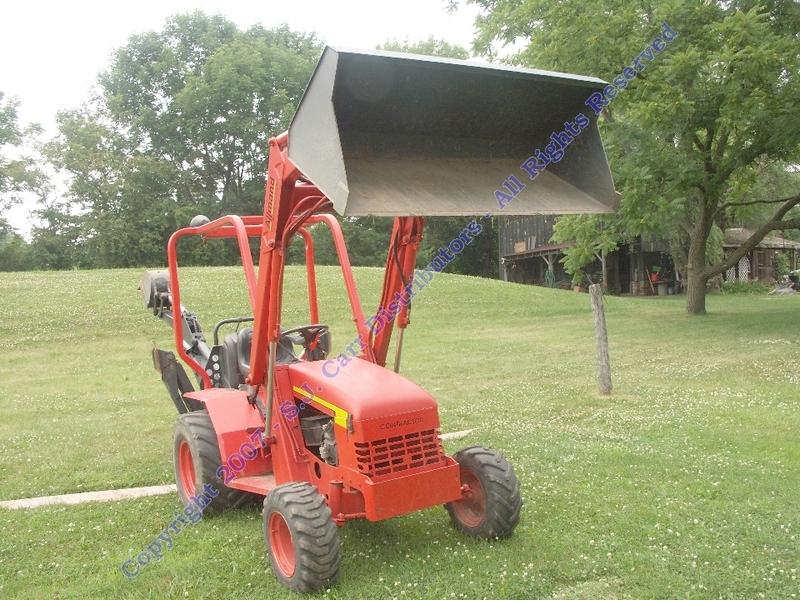 The bucket can lift to almost 7.5 feet with a lift capacity of 2100 pounds. 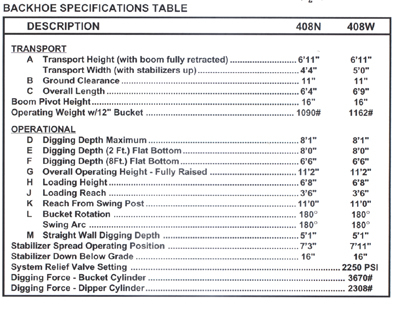 See below for the full spec. sheet. As you can see the backhoe seat is in the same condition as the primary seat. 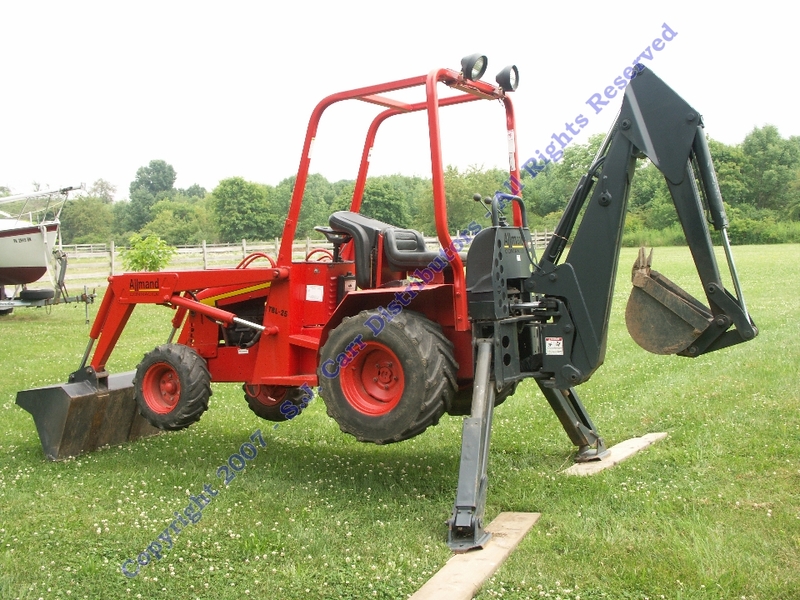 The backhoe controls are standard and the two middle levers control the stabilizers. it right up in the air. No problem and real handy. I never owned a backhoe before this one. Can you tell. the loader and the backhoe. Good clean stainless steel all around. 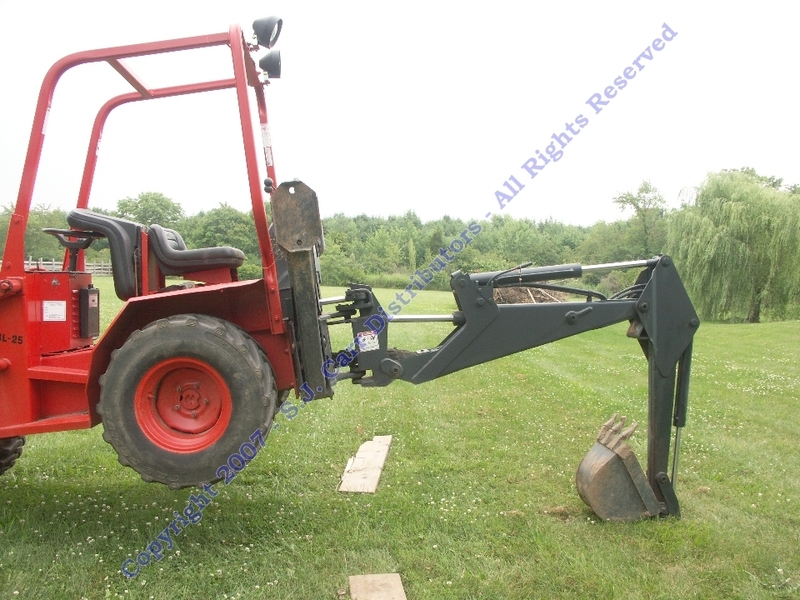 once although I didn't know enough about backhoes to even look for such a thing when I bought it. I do now though. 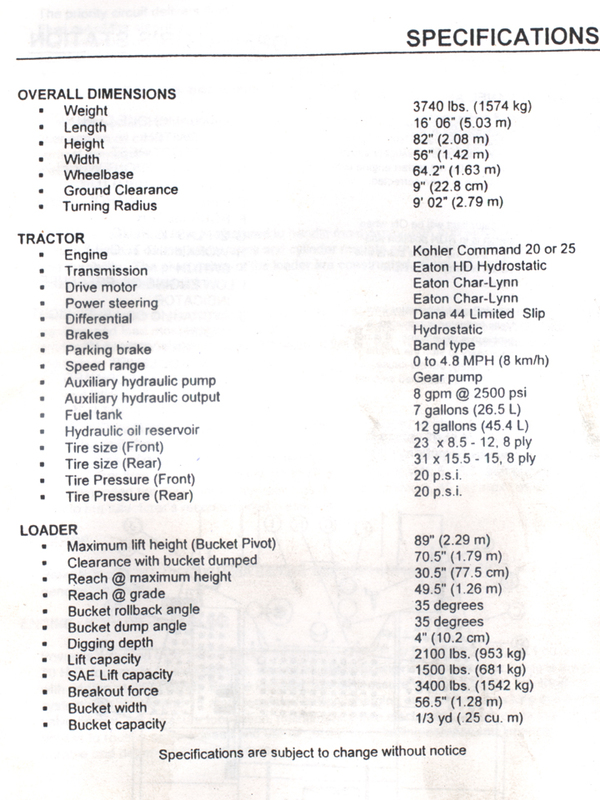 their units. Allmand Bros. makes their own backhoes now and from what I can tell they don't measure up. 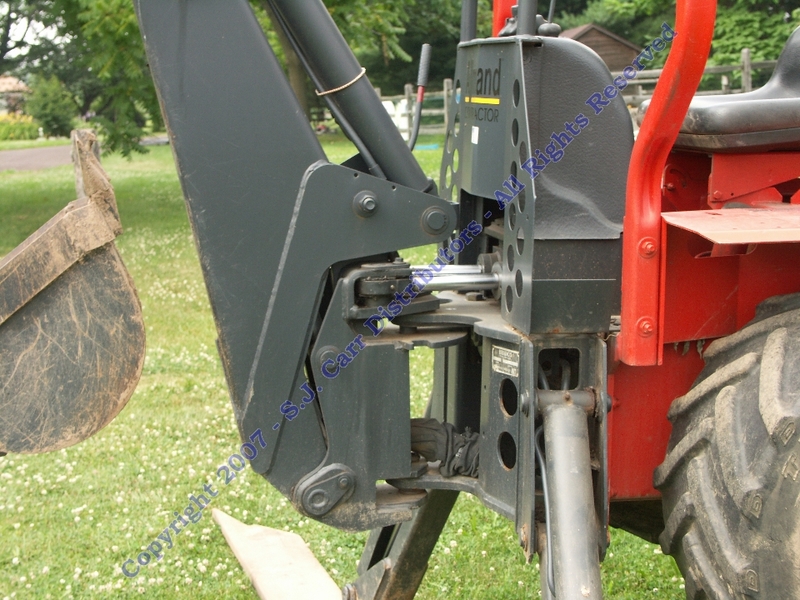 Take a look at the amount of steel in the boom and the dipper arm. Nothing flimsy looking there. The lights on the upper roll cage do work although I never dug at night. If you need to work late they may come in handy. NO pressure exerted on the ground and no tearing up of your lawn unless you want it to. new window that will be much easier to read. WATCH THIS ITEM IN MY OR YOU MAY MISS IT. 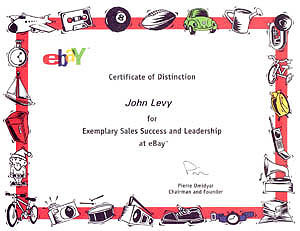 If it is a legitimate offer you will be able to verify the offer by looking in your My eBay Messages account. If it is NOT in your eBay messages then it is not a REAL offer and that makes it a SCAM. Owners manuals for the Allmand as well at the Bradco Backhoe are included. 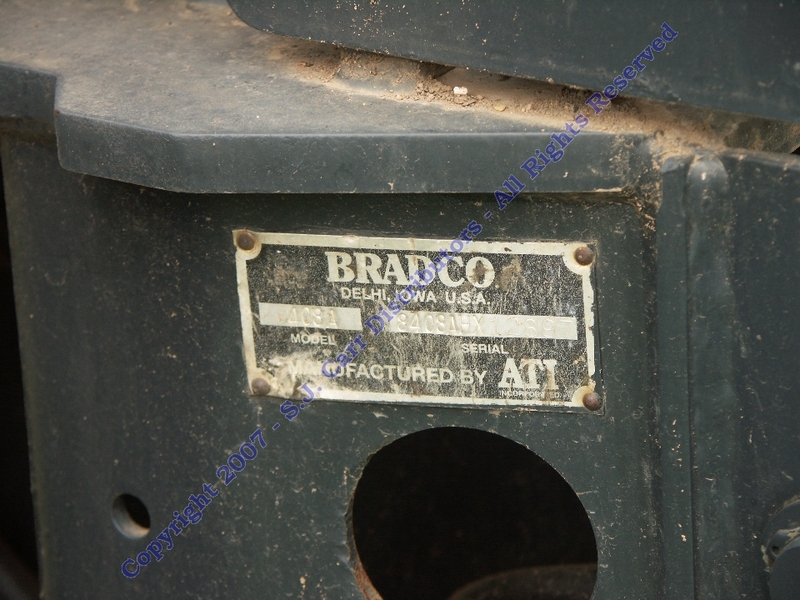 I also have the parts manual for the Bradco Backhoe unit. The home of the TLB. This Company is very much still in business and parts as well as technical support are just a phone call away. 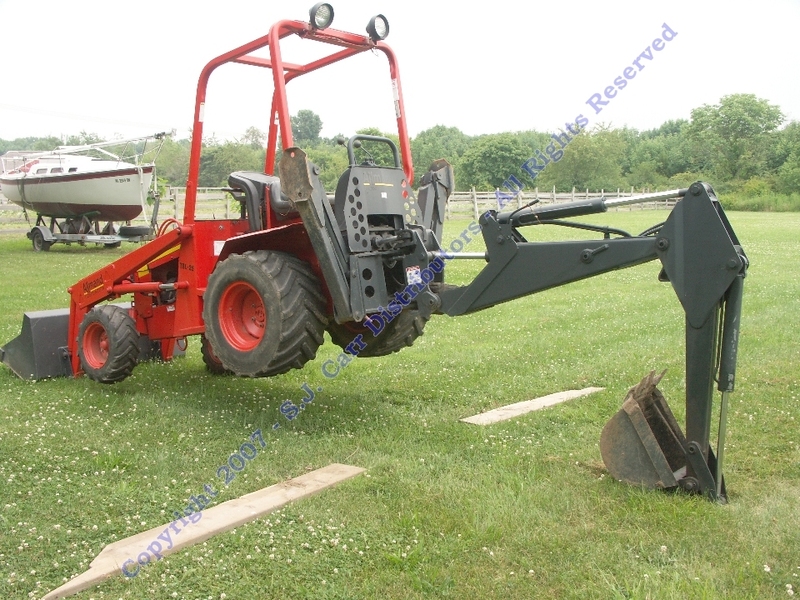 I bought this Tractor Loader Backhoe last year from a local dealer and I have to tell you that I have been very happy with the work it has performed. I needed to do some excavation work without tearing up my property and it has done and continues to do a great job. The heavy work is now done and it is time to let someone else put it to work on their job. I loved having it but to keep it around to move mulch is a bit of overkill. 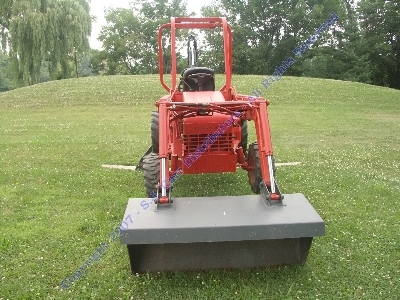 I bought a smaller tractor with a loader that will do the job nicely and will cut the lawn as well. 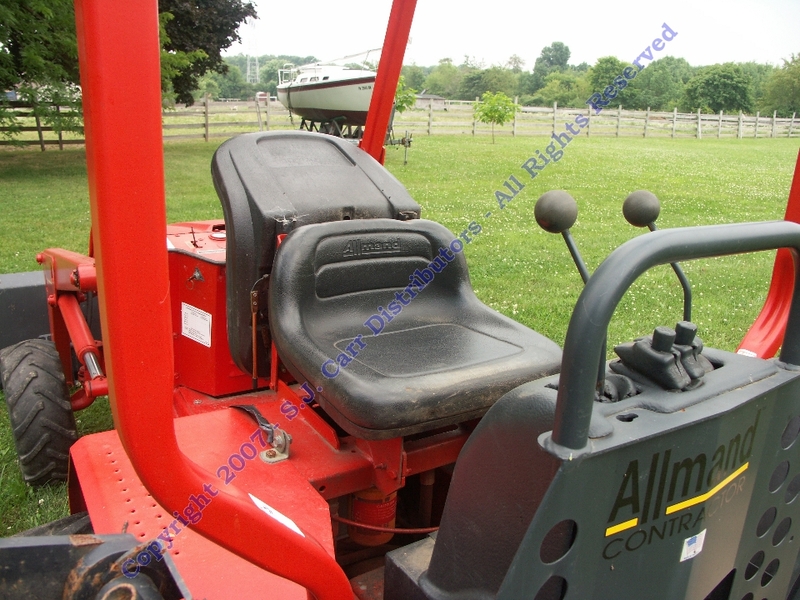 During the time I have had the Allmand I have only done a small bit of repair work. 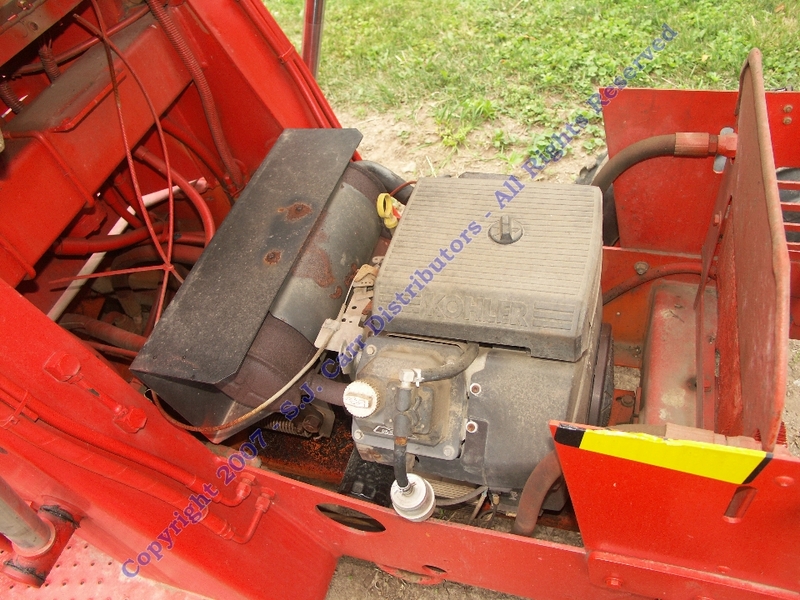 I installed a couple of new hoses on the loader side of the tractor because of a bit of fluid leaking and there have been no problems since. All of the fittings are standard fittings and repairs are easy and simple. 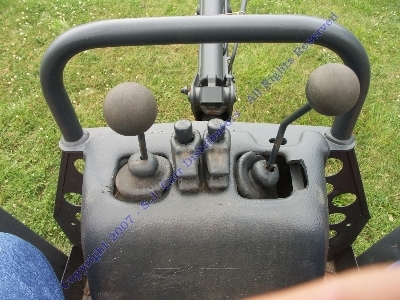 I also replaced the parking brake handle. 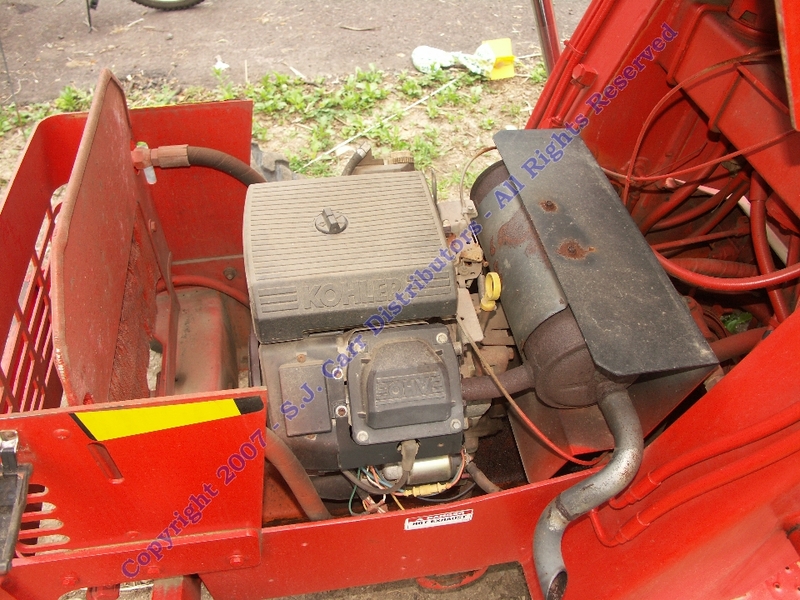 The old one was completely rusted and had no ability to adjust the brake. The new one works perfectly. I did do an oil change with filter this spring as well as new spark plugs. I think the plugs were a waste of money because it runs exactly the same and the old plugs came out dry. There is NEVER any smoke. I have to say that I have come to really respect this tractor. 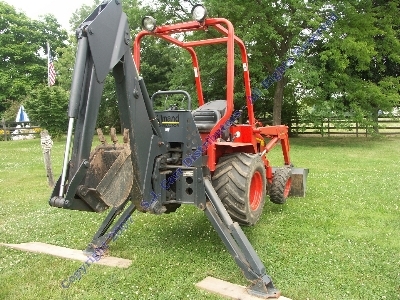 It is built like a battleship out of REAL steel but walks on your lawn and doesn't leave a mark behind. 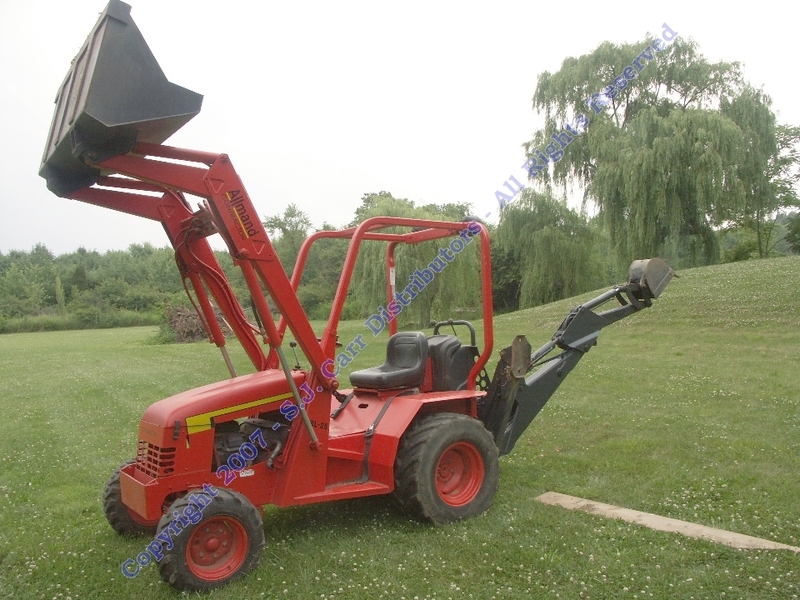 It weighs over 3500 pounds but handles easily. 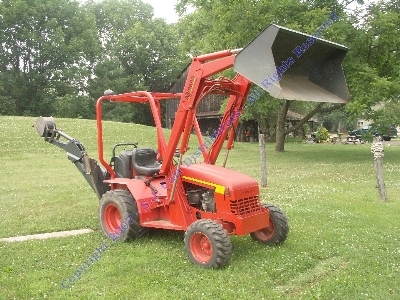 My wife runs it around like it is nothing and she doesn't even really like machinery. 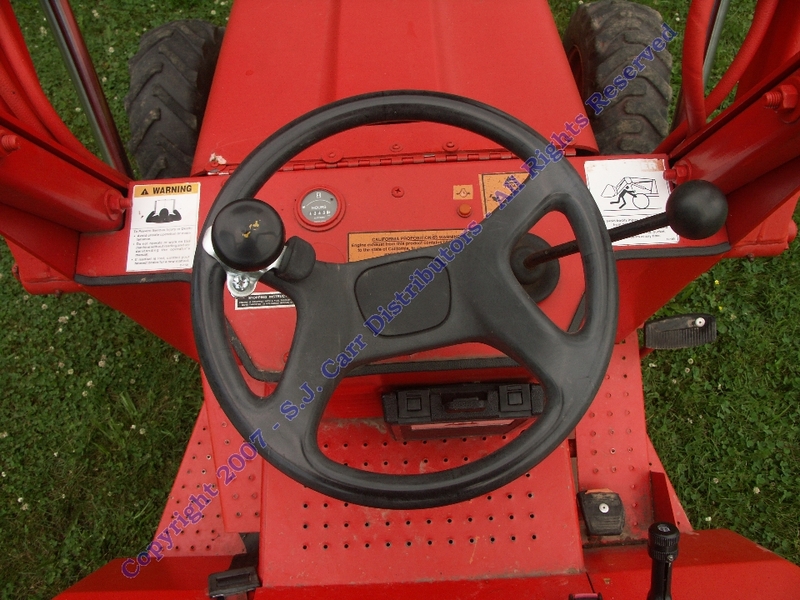 The power steering is smooth and quick. 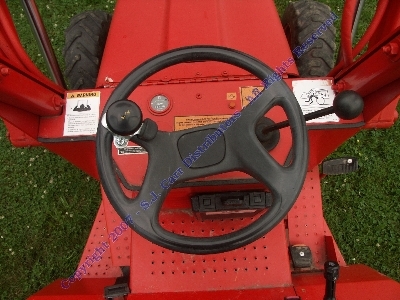 With the spinner on the steering wheel you can run the loader with your right hand and steer with your left and make short work out of a pile of anything. There are a couple of small issues that I have not found the need to deal with. 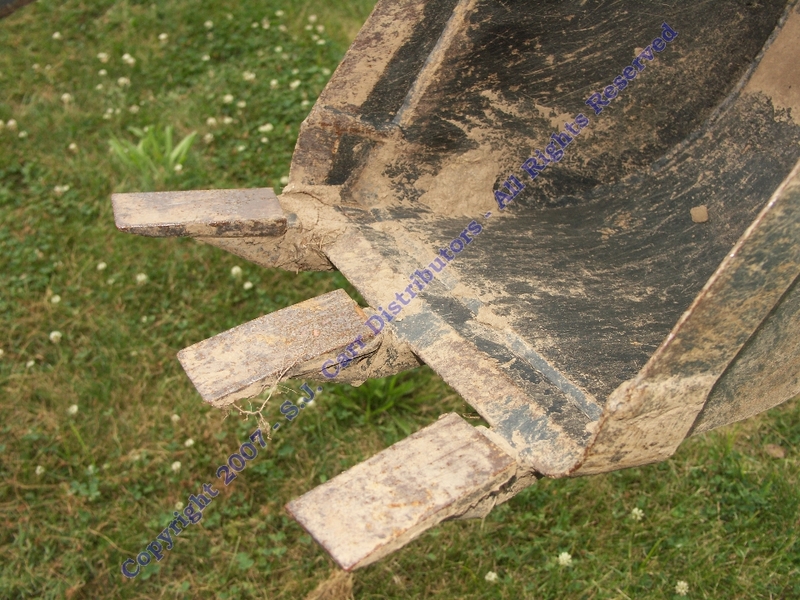 There is still some small seepage issue with the backhoe side of the unit. You can see it on the back side of the boom but it never leaves tracks. 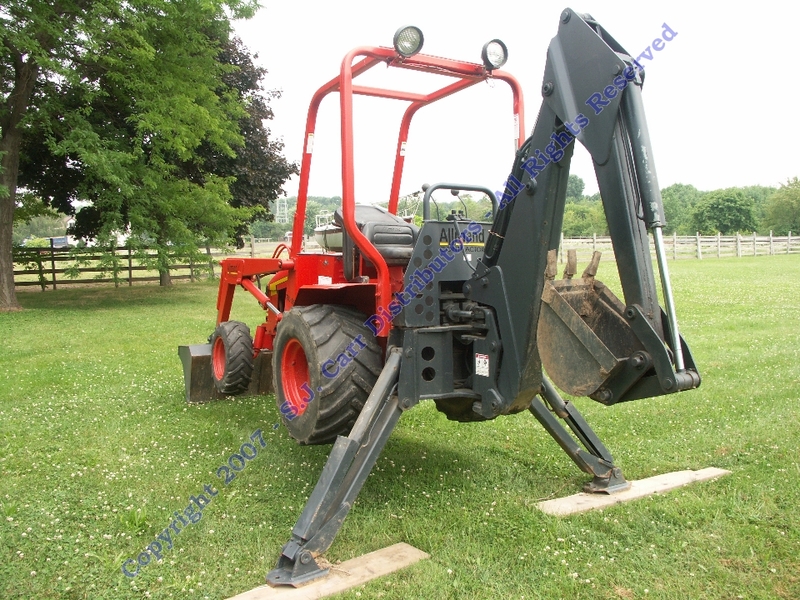 The loader and the backhoe both leak down if left in the up or expended position but it takes a couple of days for the loader to hit ground and the backhoe doesn't have far to travel. It has never been a problem for me to park it with everything on the ground ready to shed water if it rains. The gas struts on the hood no longer work. I prop it up with a stick. The hour meter no longer operates and it hasn't since shortly after I got it. Right now it reads 1343hrs. but it stopped working last summer not long after I got it. I think that when I bought it there were 1320 something on the meter. I have probably put 60 to 80 hours on the tractor since the hour meter went out of whack. Personally it doesn't bother me at all. I didn't buy it because of the hours I bought it because it was a backhoe I could afford. 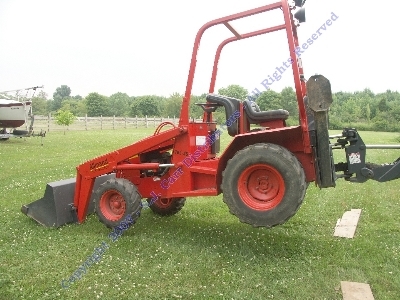 I didn't have $18,000 to spend on a new light weight Deere or Kubota and I certainly didn't have $20,000 plus for a larger used one. This fit my needs perfectly and allowed me to do the work I needed to do in the time frame that worked for me. Truthfully I am going to be sorry to see it go. 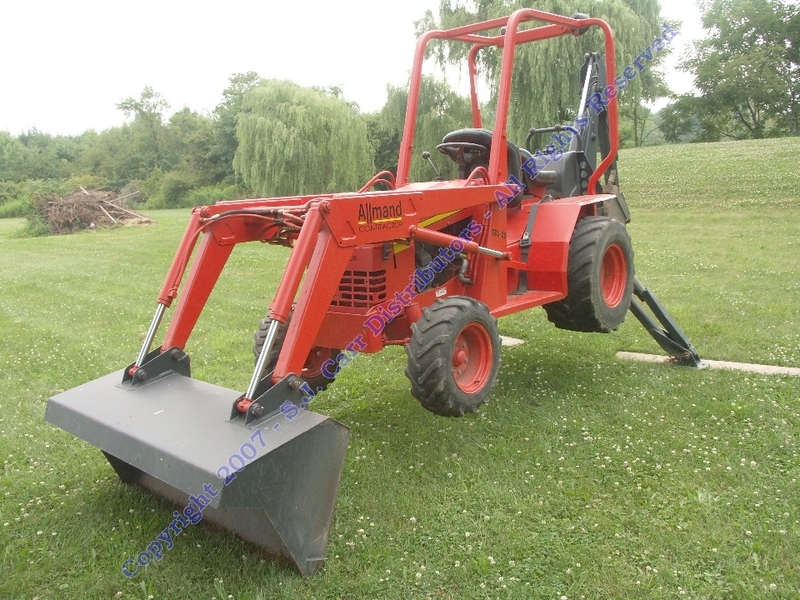 It has proven to be extremely versatile and easy to operate. If you have a need for a loader / backhoe for some work around the house or farm this just might be what you are looking for. 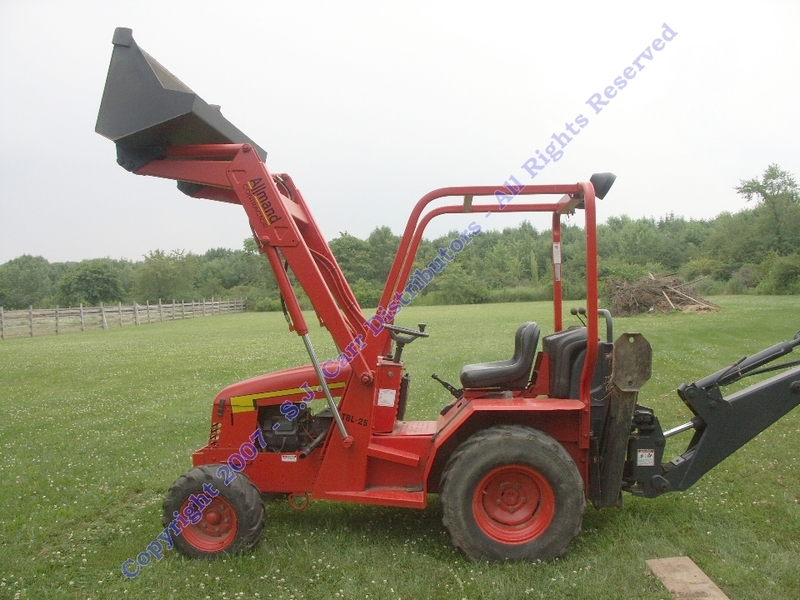 It is a 2 wheel drive tractor but I have NEVER felt like I was missing anything by not having a 4X4. 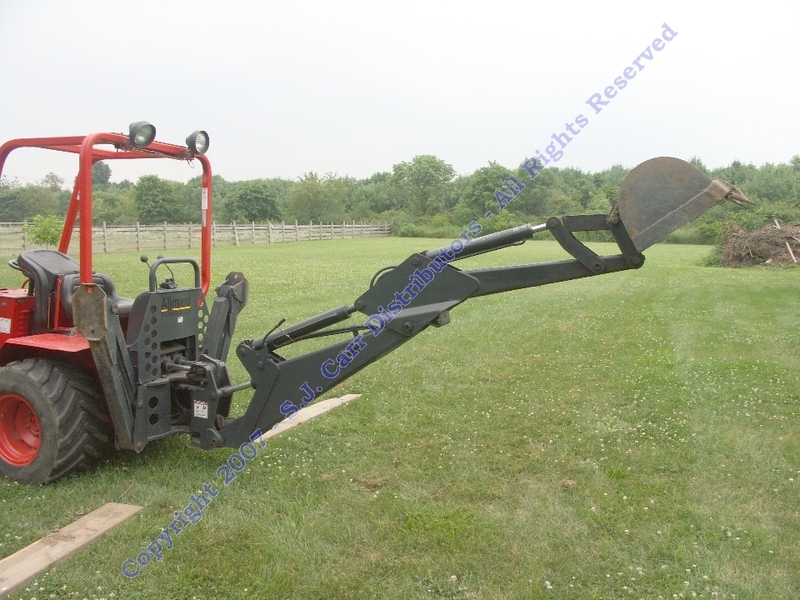 This is a remarkable piece of machinery and the most remarkable part is that I am able to sell it on eBay and know that even though I might take a bit of a loss it was worth it to have it at my disposal while I did the excavation I needed to do. If you would like further information on the TLB you can reach me at the following number. We encourage anyone with an interest in the TLB to come and see it up close and personal. You can make those arrangements with me at the same phone number. 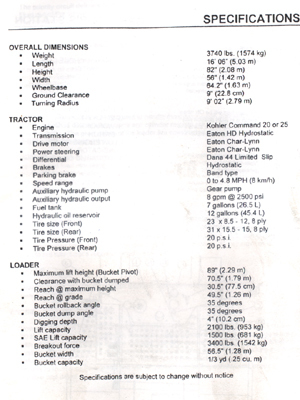 If you would like the Tractor delivered there will be a flat rate charge of $200.00. This will cover any location within a radius of 75 miles from Zip 18927. Beyond 75 miles the fee will be $3.00 per mile for the one way distance between your zip and 18927 based on Yahoo Maps mileage figures. 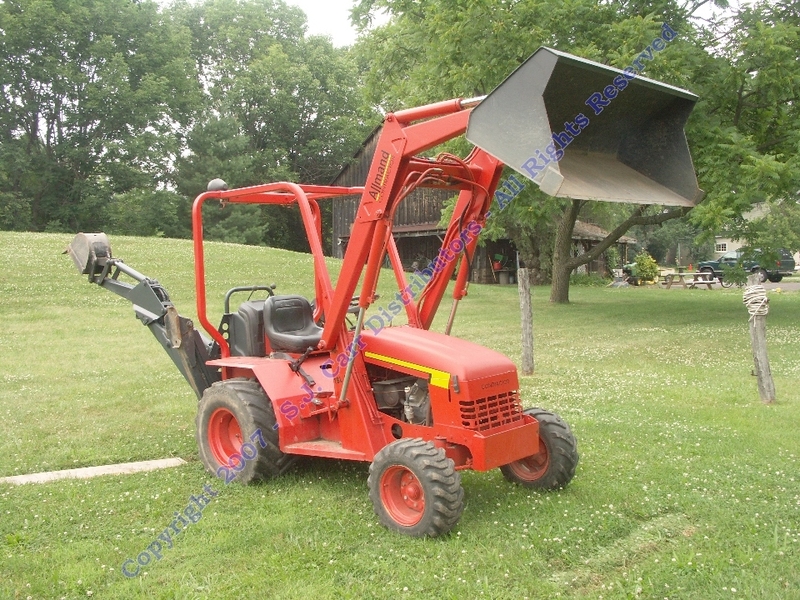 The Tractor MUST be picked up and/or fully paid for within 7 days of the close of the auction. 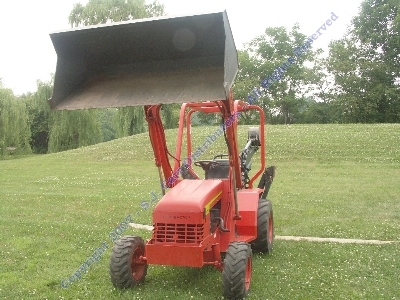 The balance of the payment will be due upon pickup. The acceptable payment is CASH at that time. PayPal will NOT be accepted for payment of the entire amount. Please do not ask for this as the fees are too high. Payments through PayPal greater than $500.00 will be returned to the sender. 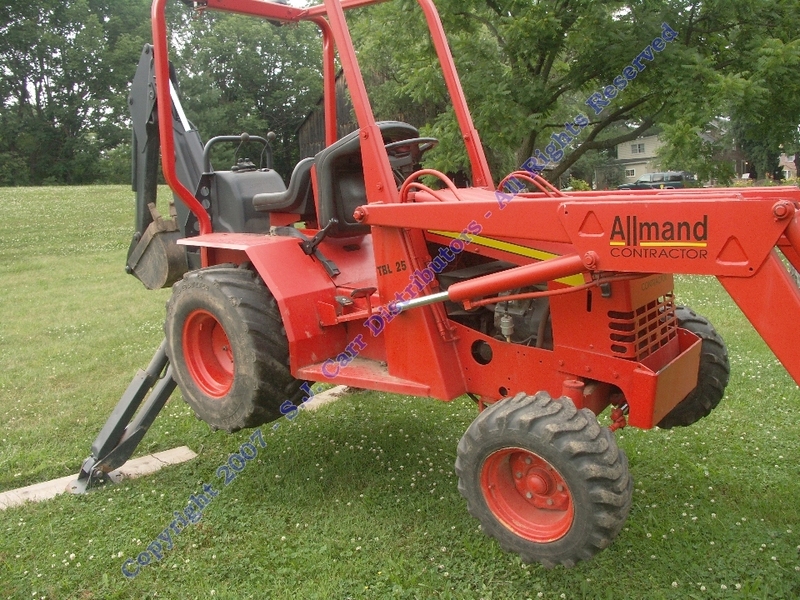 If you come to pick up the Allmand and you find that I have misrepresented the unit in any way I will cheerfully refund your $500.00 deposit and will still leave positive feedback for you.